Mercedes-Benz E-Class All-Terrain Review 2019 | What Car? These days it feels like most car buyers want an SUV, even though they don’t really need one. However, the Mercedes E-Class All-Terrain is aimed at a smaller, but still very real, demographic: people who need an SUV, but don’t want one. You see, like the Audi A6 Allroad and Volvo V90 Cross Country, the All-Terrain is a traditional upmarket estate car that’s been given four-wheel drive, plastic body cladding to protect against scratches and scrapes and adjustable air suspension so you can increase its ground clearance. Hugely spacious and luxurious, it has the potential to be ideal for country dwellers occasionally faced with adverse weather conditions and rough roads that would flummox a typical estate car. The E-Class All-Terrain range couldn’t be simpler: there's just one well equipped trim and one engine available. 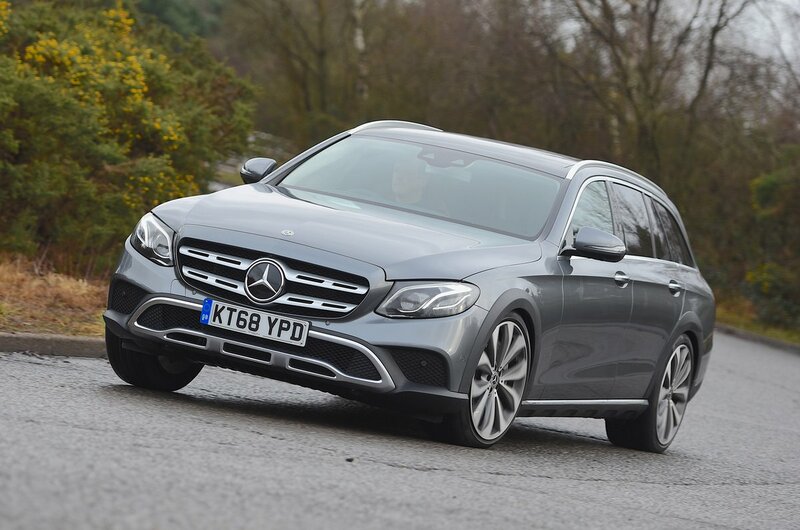 That used to be Mercedes' well-proven but rather dated 3.0-litre V6 diesel, but its place has now been taken by a much newer unit (badged E400 d) that promises improved refinement and efficiency. 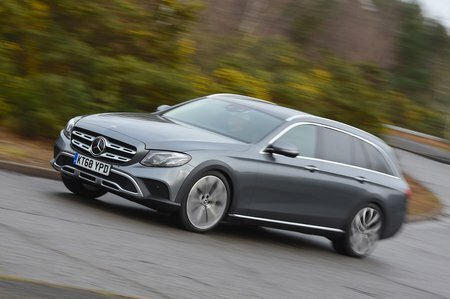 In this review, we’ll cover everything you need to know about the Mercedes E-Class All-Terrain, including what it’s like to drive, how practical it is and how much it will cost you to buy and run. And if you do decide it’s the car for you, we can even save you the trouble of haggling for a discount, thanks to our New Car Buying service.